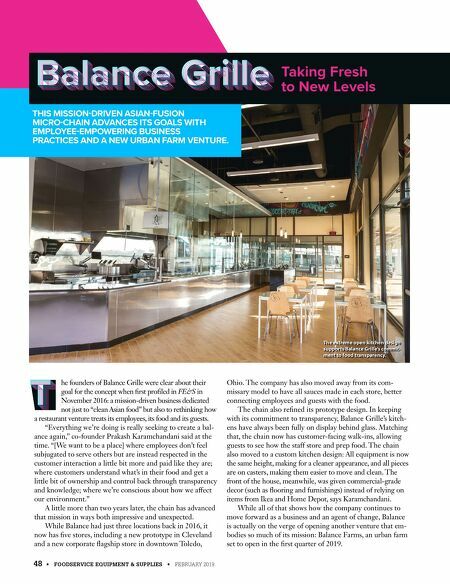 High capacity - Small Footprint. Don't let limited square footage limit your wine list. By expanding up, you'll have plenty of space to create an impressive offering of fine vintages. Perlick's space efficient, climate controlled column refrigeration for wine takes advantage of available vertical space. • 84" tall - 24" x 24" footprint provides high capacity wine storage in a compact space. • Single and Dual Zone Models Available. • Factory set sensor maintains optimum humidity level. • Programmable Blue and White LED interior lighting with slow fade effect for on and off setting. 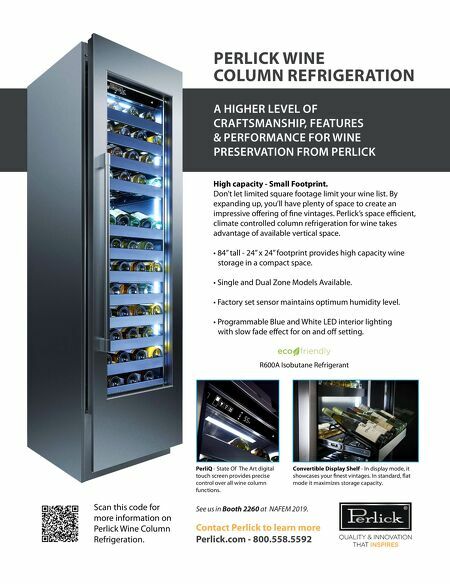 A HIGHER LEVEL OF CRAFTSMANSHIP, FEATURES & PERFORMANCE FOR WINE PRESERVATION FROM PERLICK PERLICK WINE COLUMN REFRIGERATION R600A Isobutane Refrigerant Contact Perlick to learn more Perlick.com - 800.558.5592 Scan this code for more information on Perlick Wine Column Refrigeration. PerliQ - State Of The Art digital touch screen provides precise control over all wine column functions. Convertible Display Shelf - In display mode, it showcases your finest vintages. In standard, flat mode it maximizes storage capacity. See us in Booth 2260 at NAFEM 2019.